WORCESTER, Mass. 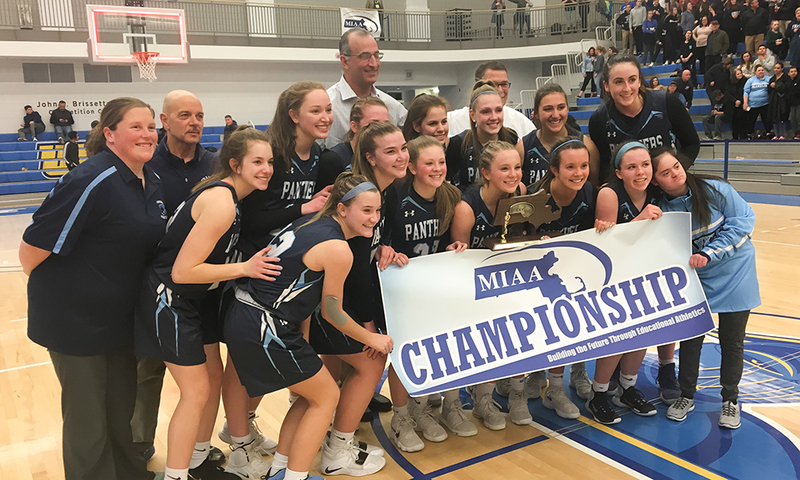 – Springfield Central is headed back to the MIAA D1 State Championship for the third straight year, but it wasn’t without a hell of a fight from the Franklin girls basketball team first. 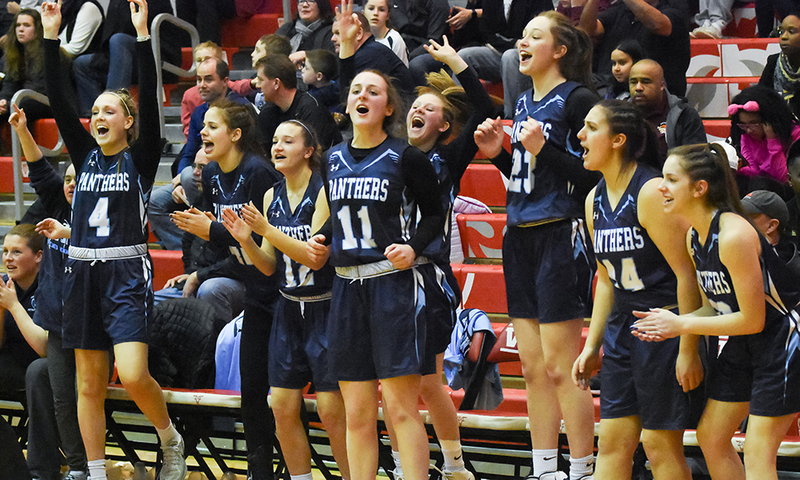 The Panthers went toe-to-toe with the three-time West sectional champions, forcing overtime with a late bucket before bowing out of the tournament with a 64-57 loss at the hands of the Golden Eagles in the D1 State Semifinals. 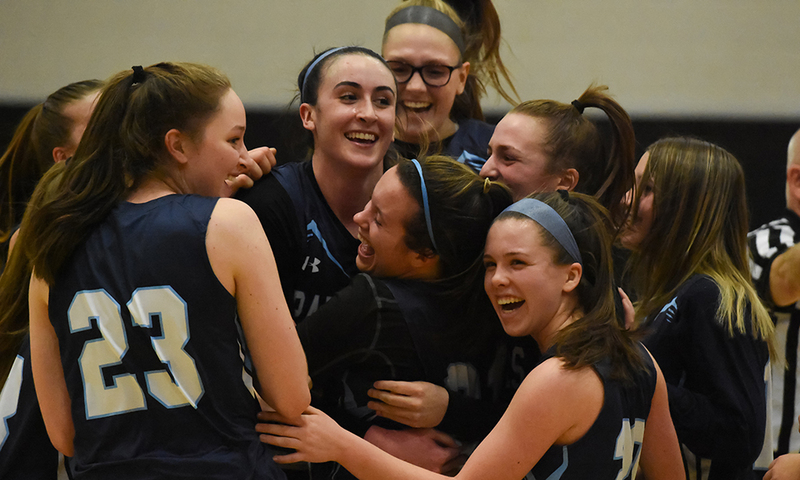 For the second straight game, junior Megan O’Connell scored in the final seconds, this time a layup with 6.1 seconds left to tie the game at 48-48 to force overtime. 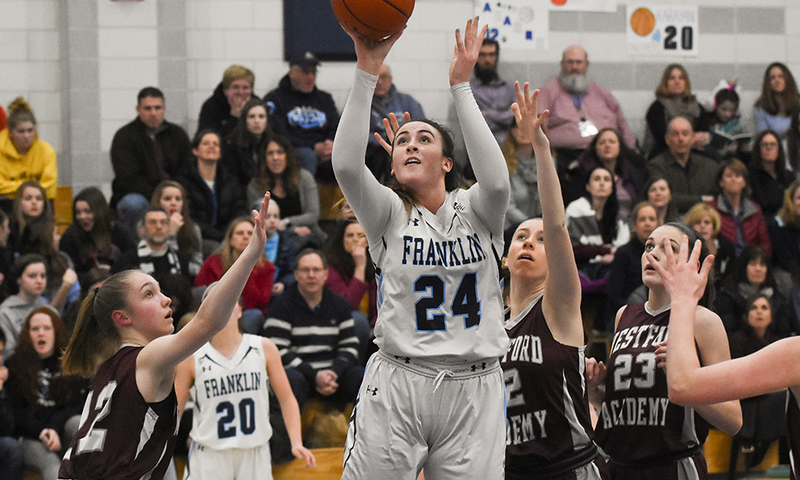 Franklin carried that momentum into the extra period as O’Connell (16 points, 17 rebounds) drove to the basket on the opening possession to give the Panthers the lead, and two trips later, senior Shannon Grey drained a corner three for a 53-48 lead with 2:49 left. But the Golden Eagles refused to go away, answering right away with a triple from Selenya Gonzalez (21 points). 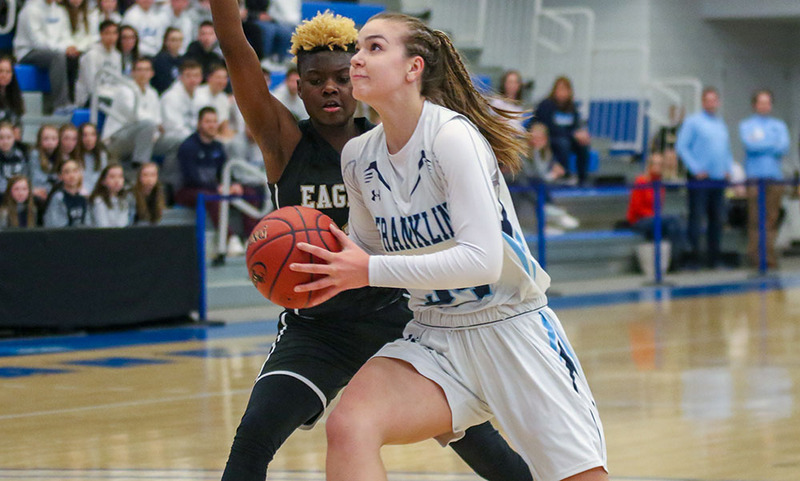 Franklin’s Ali Brigham (26 points, 25 rebounds) converted an offensive rebound to give Franklin a four-point cushion and then blocked a shot to give the Panthers possession back with under two minutes to go. 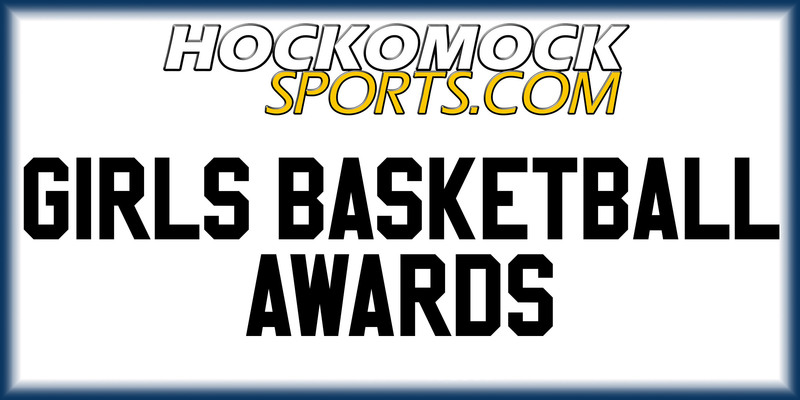 But a missed three resulted in two free throws for Jaliena Sanchez (34 points, eight rebounds) and then a turnover resulted in two free throws for Rosheda Guthrie, knotting the score at 55-55. Turnovers hurt the Panthers all night, and their 19th and final one of the game led to one of the biggest plays of the game. After two misses, Franklin came down with another offensive rebound but a pass to the paint was picked off by Sanchez and she raced the length of the court and converted while being fouled, hitting the free throw to put Springfield Central up 58-55 with under a minute to play. 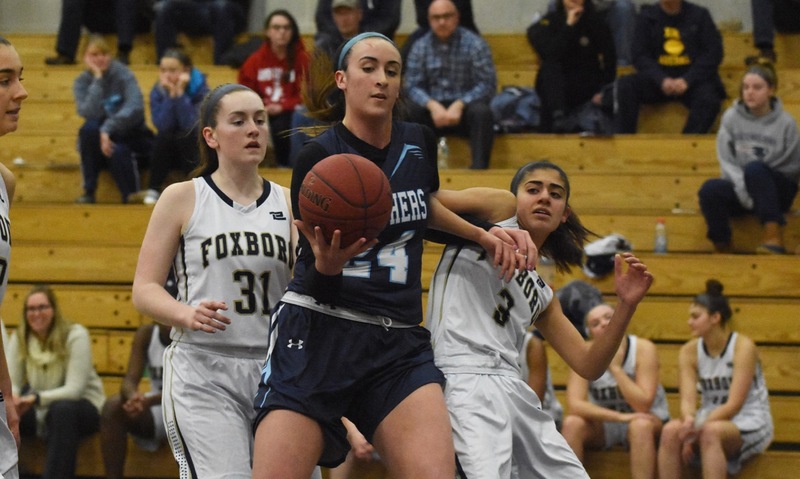 Brigham answered on the other end with a pair of free throws but Sanchez went back to the line, where she finished 17-for-21, and sank another two to push the lead back to three, 60-57. 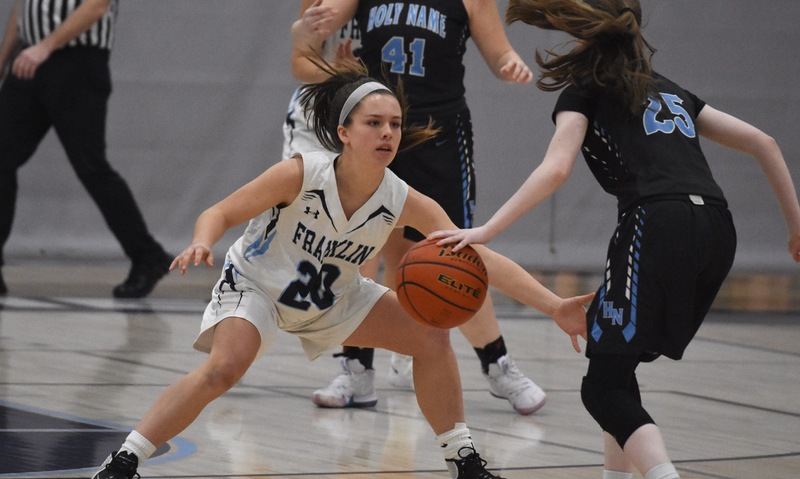 Franklin was unable to convert its chance and Sanchez added four more from the line in the final seconds to ice the game. It was back-and-forth for the majority of regulation, with neither team grabbing a significant lead at any point. Springfield Central jumped out to a 6-0 lead to start the game but Franklin settled in and took a 13-11 lead by the end of the first quarter. Buckets from O’Connell and Brigham midway through the second helped the Panthers build a brief five-point lead at 19-14 but a 7-1 swing from the Golden Eagles put Springfield Central ahead. 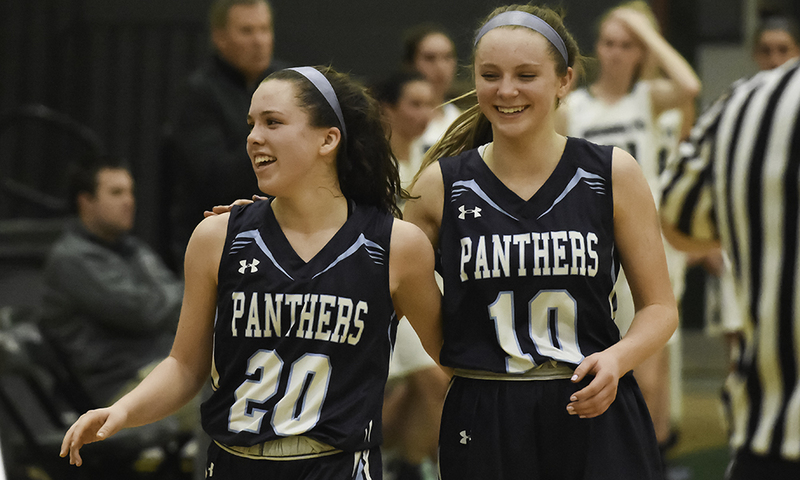 The Panthers got points from Bea Bonhus and Erin Quaile, plus four straight from Brigham to take a 28-26 lead into halftime. 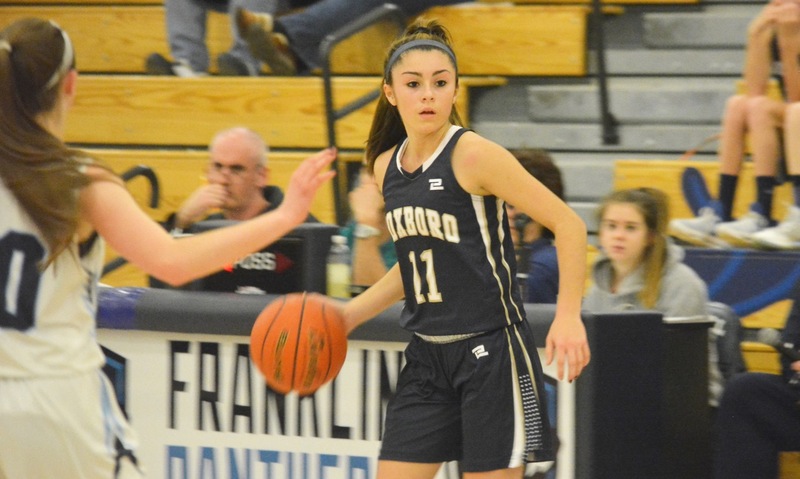 Sanchez worked her way to the line early and often in the third, hitting five free throws but Brigham answered with a three-point play, a rare shooting foul called against the Golden Eagles while defending Brigham. A four-point play from Sanchez — a made three plus another foul — gave Springfield Central a 37-33 edge and the momentum but the Panthers stole it back with a 10-0 run to end the quarter. Brigham scored the first four then O’Connell scored three straight baskets for a 43-37 edge heading into the fourth. Franklin was held to just one point — a free throw from freshman Olivia Quinn — for the first six minutes of the fourth. The Panthers finished the game just 2-for-18 from three-point range. Quaile sank two free throws with 1:40 left to get Franklin within one before O’Connell’s tying basket late. Franklin girls basketball finishes the season at 21-4.